A lot of questions are being asked about Medicare Advantage and Risk Adjustment lately, very likely due to the news on UnitedHealth and alleged over-billing. While there are great conversations to be had about the proper nature of comprehensive chart reviews and best practices surrounding them, there has also been a renewed focus on the current state of the Encounter Data Processing System (EDPS) and the difficulties involved with deleting diagnosis codes. The process is ugly due to a very complicated submission process, difficulties in identifying what should and shouldn’t be deleted as well as the chaotic matching process health plans have to go through to mirror deletes from RAPS and EDPS submissions. A delete by any other name. . . Member has a sniffle and goes to the doctor. Plan gets claim for an office visit and a full health evaluation is done. In addition to diagnosing the cold, one of the diagnosis submitted is “Acute Myocardial Infarction” because the member had a stroke two years ago. This coding mistake should have been the code for “history of AMI” instead. Plan’s claims process pays the claim because office visits can be paid for just about any diagnosis and a valid one is there for the cold. Even if the plan asks the doctor to correct and resubmit, it is unlikely to happen (super busy, already paid, resubmission rejected for duplicate etc.). CMS accepts the code through the EDPS system even though the plan had a filter in place to make sure it was not submitted through the RAPS process. EDPS does not allow the plan to “edit” the submission or filter results. The submitted code then needs to be deleted from EDPS (but not until after it was submitted and accepted). So basically, plans are responsible even though CMS is determining what is risk adjustable in the EDPS process. Many health plans and vendors took a “store and forward” approach to implementing Encounter Data submissions. Basically, the store and forward approach takes data from a source system (e.g. claims) and forwards the formatted message to CMS. This might be fine if there were no other encounter sources (like charts, supplemental data, etc.) and no other submission methods. However, the plans are also getting data into their RAPS process and sending RAPS submissions to CMS. The majority of the plans kept their legacy RAPS process in place as a separate system assuming it was going away as CMS claimed. The extract used in the RAPS process only asked for the data it needed from the source system. This leads to two very different data stores doing a similar job. There are a lot of problems that will manifest if two separate systems for submitting risk data to CMS are used long term. They include having to correct problems in data twice (a missing NPI in one encounter now must be addressed twice – likely be separate teams), differences when data makes it to one system and not another (charts didn’t make it into the EDPS data store, but are in the RAPS data store) and general differences due to the content of the data (limited data set in RAPS vs. rich data set in EDPS). While we could spend a lot of time on each of those areas and others, the challenges related to ensuring the exact same risk data is reflected in both submissions to CMS is one of the most complicated and the worst of it might be the delete process. For the purpose of this discussion, we’ll put aside the fact that CMS took an overly complicated and non-standard approach to submitting deletes via EDI. However, the store and forward approach makes things a lot harder even if you know exactly what to delete. The store and forward approach in a nutshell is get stuff (encounter data), and forward that stuff on once it is formatted as a message to CMS. Following this flow, what “stuff” is the system to “get” so that it is to be forwarded as a message letting CMS know it should delete that code? A new process needs to be created to look through existing submissions for things to delete. This process is needs to do complex matching and status queries to even have a chance to send a delete. But even if all that can be pulled off, what should be deleted? Mirror your RAPS deletes – seems like the most obvious one. If a plan saw fit to delete a code from their RAPS submission for whatever reason, it should also be deleted in the EDPS data. Tough to do in practice. If I were to hand a store and forward system the RAPS deletes, it would have no idea what to do with it. The Diagnosis Cluster from RAPS does not equal the encounter from EDPS. So just the process of finding these things involves complicated queries. It is not like there is a claim number in the RAPS data. Plus, if you miss even one, it is just as bad as missing ten in most cases. When are you done? Not sure because one RAPS delete might be many EDPS submissions that need to have deletes resent. Delete all codes that were filtered out by RAPS and never sent. How far should a plan go with this is a tough question. In theory, CMS’s risk filter should have a heavy overlap with a plan’s own filter so there is no need to delete all codes that CMS is not using for risk adjustment. Then again, CMS has had a lot of problems with processing encounters and returning MAO-004 reports showing what is risk adjustable. Plans certainly shouldn’t rely on CMS being able to follow their own process. Ongoing loop back to check for corrected submissions needing deletions. There are a LOT more errors and rejections introduced by the switch to EDPS compared to RAPS. It is not unheard of for health plans to have error queues containing 100k errors. The good news is that plans are addressing these errors. The bad news is that the potential to introduce previously deleted codes is now a real problem. RAF Score comparison differences MAO-004 results vs. RAPS results scores. Even after doing all that work, doubling back to the risk scores will yield differences. Comparing the calculated Risk Adjustment Factor (RAF) score from one submission process to the other will uncover differences. This is a difficult place to operate however due to the unreasonable lag time between submission of EDPS data to CMS and the return of the MAO-004. Day-forward deletes. When plans consolidate to a single data store for both submission types, any filters, delete code logic or chart review data that are present should be reflected on an ongoing basis in the outbound data. It simply takes the appropriate action based on submission source. RAPS filter says don’t send? EDPS should mark the code for subsequent delete after submission automatically (especially if the MAO-004 comes back as risk adjustable) without all the matching and running around it takes to track these down after the fact. Yes, deleting diagnosis from encounter data for Medicare Advantage plans is time consuming, complicated and error prone . . . it is also mandatory. Due to the issues above, many insurers are putting themselves at risk right when the government has renewed their focus on MAOs alleged over-reporting of risk. Need more help or want to discuss this further? Drop me a note. I’d love to talk about your specific experiences, insights or challenges. In the last 17 years, I have been asked a number of times to explain diagnosis pointers. While diagnosis pointers are simple once you understand them, sometimes they are difficult to explain, especially to those outside the claims world. The best way I can think of for now is to put together this diagnosis pointer FAQ. If you have any additions, corrections or would like me to answer other questions, please leave a comment. Diagnosis Pointers are used to describe sometimes complex many to many relationships between submitted diagnosis and service line treatment information on health claims and encounters. Where did diagnosis pointers come from? Why are diagnosis pointers used? Pointers originated with paper claims. As you can see from the image, there is not a lot of room left in the service line area for diagnosis codes. Instead, the user just enters a number that corresponds with the diagnosis code they are “pointing” to. When EDI started to be used for claims, pointers were a natural fit for two reasons: First, to keep things the same no matter how the data was submitted (electronic or paper) and second to keep EDI “lean”. Transmitting data used to be expensive and charged by the character. Using pointers meant that no diagnosis code ever had to be listed and transmitted more than once. Why not just list all the Diagnosis at the line? A properly coded claim often has diagnosis that are not pointed to, but still collected during the encounter. For a service that is somewhat generic like an office visit, the patient may have come in because they had the flu, but ended up getting a full evaluation that showed a previous lower leg amputation and perhaps diabetes management. While the office visit did not address the leg specifically, capturing the diagnosis is still very important. Are Diagnosis Pointers used in Institutional Claims? No. Diagnosis pointers are only used in Professional Claims. Claims departments use them to determine if they will pay the claim. After loading the pricing for that provider and determining eligibility and coverage, claims decides if the treatment is covered. Among other decisions being made is whether the treatment is covered for the diagnosis. For something simple like an office visit, almost any reason will do, but for something more specific they must match. If the diagnosis is broken toe and the treatment is removed kidney, the claim will not be paid. This is a way to prevent fraud and also a way to avoid paying expensive claims that are really a result of a keying error. How many diagnosis pointers can there be? On any given service line there are up to 4. In current EDI (version 5010 of the 837P) the value must be between 1 and 12. What if more than four (4) diagnosis relate to the treatment? The coder who is submitting the claim at the provider picks the 4 best and does not point to the others. The idea is to give enough detail / justification for the service being claimed to actually be paid. If one pointer will do, then there is very little reason to point to more codes. In the off chance other diagnosis are relevant to the treatment, they are still available to the examiner at the insurance company who is doing the adjudication – they just are not specifically pointed to. Why should HEDIS, Medicare Revenue efforts or the new Health Insurance Exchange ignore Diagnosis Pointers? Pointers are limited to 4 or less per line and average around 1.3 per line. This means that if HEDIS or Revenue only used the codes that were pointed to, codes that are crucial to HEDIS measures or HCC calculations would be dropped. A doctor who did a proper, comprehensive E&M for a patient would almost certainly have the information ignored when processing. Besides pointers what other limitations are present on Diagnosis Code Submission? The total number of submittable codes vary by transmission type. Is there any reason Medicare Revenue has to pay attention to pointers? Certain systems may require them to be submittable data. For example, CMS’s EDPS system that replaces the RAPS system for risk adjustment has them as a required field to be able to submit to the system. What does it mean when an insurance company asks for numeric diagnosis pointers? The latest paper form – the CMS 1500 required after April 2014 – has switched from numbers to letters. Meanwhile the EDI (Electronic Data Interchange) files still require a number from 1-12. This puts a small disconnect between the paper data and the electronic. 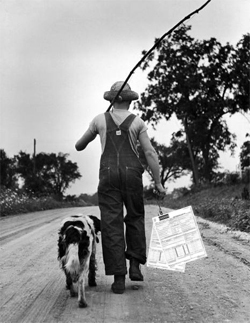 If one were to put a letter into the pointer field of the EDI file, it will reject. Many payers import native EDI or a flattened form of it to put claims into their system. Even if the claim came in as paper, many times it is automatically converted to EDI using OCR / scanning. Done correctly, the OCR vendor should do a crosswalk from Alpha (A-L) to numeric (1-12). This means that if there is an “A” a “1” is put into the EDI field and if there is a “C” a “3” would be sent. Most claims systems will not be updated either so any hand entered claims will have to be converted as well. Does cross-walking data from a letter pointer to a numeric pointer “change” the data? Short answer: no. Compliance officers at health plans are often very worried about having a source of truth for the claim. Crosswalks are used throughout data integration projects for a number of reasons. Sometimes it is something as simple as formatting a date from MMDDCCYY to CCYYMMDD. Other times it might be reason codes so that internal codes used in the claims payment process can be understood by those outside by converting them to CARC codes. It is a good idea to document any cross walks or formatting, but the fundamental data has not changed at all. Encounter Data or Fishing Expedition? Recently, I mentioned to my wife that I needed new skis for this winter. Her response? “Define Need.” When it comes to collecting Encounter Data for CMS, perhaps I should consider sending my wife to Baltimore to help smooth things out. If you have not heard of Encounter Data Processing for CMS is you could go here or just go ahead and skip this article entirely. So while health plans have been busy for more than two years trying to comply with EDPS and prepare to switch over from RAPS (Risk Adjustment Processing System) , some involved with the process have lost sight of why we are doing this in the first place. CMS isn’t out to make things more difficult or to simply to see how high plans will jump. 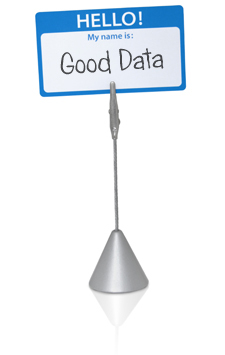 EDPS exists to settle some issues that can’t be addressed without more complete data. The problem is that data collection requirements can easily get out of hand. In 2009, Medicare Advantage cost CMS roughly 14% more per patient than Fee For Service (FFS) patients. In 2010, that number dipped to 9% more, but still represented billions of dollars in additional cost to Medicare. The Medicare Advantage Organizations (MAOs) have pointed out that they have sicker patients on average and provide more services than FFS patients receive. CMS claimed that since MAOs are paid a Risk Adjustment Factor (RAF) based on what is wrong with patients instead of on services they provide like in FFS, they are simply better at reporting than doctors who see FFS patients. In fact, there is already an adjustment to RAF for the effect of coding intensity. Measuring outcomes such as re-admission rates or patient satisfaction show MAO patients are better off than in FFS Medicare. MAO plans also claim that they do a better job of managing complex conditions such as diabetes and that costs money. Since current reporting (RAPS) does not show all the steps taken to provide the care, there is no way to reconcile whether CMS or the MAOs are right – or even who is “more” right. 1. Clear understanding of services rendered – what are all the things that are being provided to the patients in an MAO plan? With this data, a patient with the same exact condition can be compared from MAO to FFS to determine the level of care received. 2. Complete data – every visit, procedure, test etc. must be submitted rather than the subset of risk adjustable data that is found in RAPS. In RAPS, submitting additional instances of the same diagnosis really didn’t do anything to the RAF calculation. To be able to compare utilization across the models, care provided that is unrelated to HCCs and RAF also must be submitted in total. In order to make valid 837 files for submission to CMS, every encounter must include Member ID info, Provider Identifiers for both Billing and Rendering, and service line information such as DOS, CPT, Modifiers, REV Codes, Specialties, POS and charges. The problem comes in with how to use this data once it is received by CMS. While I was not a party to any of the discussions behind how to implement EDPS at CMS, I imagine the reasons they went with outbound 837s as the model is that they already receive these today for FFS processing and perhaps that some state Medicaid systems collect 837s for their model today. The thought was probably that they could just take the FFS system that could already process 837s and modify it to take in encounter data for use in EDPS instead. The problem is that claims processing requirements don’t always line up with EDPS. It is easy to look back and say that collecting 835s that every MAO in America can already output and contains a clear record of what took place in the course of care would have been a better way to go, but that won’t help us here. In FFS processing, certain data may be required in order to pay a claim. If the data is not present, the claim is denied. If a FFS provider wants to get paid, they will get the needed data and resubmit. With MAO plans however, there isn’t any requirement to follow FFS submission rules. If a plan wants to work with a particular doctor or facility their contract will dictate what needs to be submitted. For example, skilled nursing facilities (SNF) must submit 837 claims to CMS for FFS payment. Another SNF may work with MAO plans and submit claims via paper form which may not have all the data elements needed to make a valid SNF claim. If that MAO then tries to submit EDPS data showing the SNF encounters, they will be rejected due to missing data elements. The encounter certainly happened and the MAO paid the claim; there is nothing to “fix” in the system of record (e.g. claims system) to make it submittable to CMS. If data is made up to make it submittable, the head of the plan’s compliance efforts would likely be less than pleased to say the least. If the data is not submitted to CMS, utilization will seem lower than it actually is. Typically I refer to these types of claims as the “encounter grey zone”. These are claims that are correctly processed by the plan according to their business rules, and yet are unsubmittable to CMS. In the above example, RAF scores would likely not suffer too greatly if at all. The direct impact is not felt because other encounters would likely be present to cover any related HCC diagnosis. Of course this is going to be a revenue department’s first concern at a plan. However, even if small numbers of encounters are unsubmittable at each plan, utilization across all plans will appear lower and therefore there will be an indirect but definite impact to plan payment when utilization is calculated by CMS and applied to the new reimbursement model. One option, which would take a great deal of time and effort to come to fruition, would be to make sure the same rules that apply to CMS FFS submission are then followed by providers and then the plan’s claim system processing rules. While this is possible, it essentially means that CMS’s rules and system become a defacto way to enforce payment practices on MAO plans. There are a lot of attractive reasons to work with an MAO rather than FFS Medicare, but those reasons start to go away as MAOs have to add layers of rules and bureaucracy. There is a lot of data in an 837. When you take into account the fact that all encounters must be submitted to CMS, plans are looking at 500-1000 times as much data as submitted under RAPS. While balancing claim lines for amounts claimed, paid, denied – not to mention coordination of benefit payments – is not a part of the stated goals of EDPS, balanced claims are needed to make a processable 837 file. Due to the nature of contracts and variability of services provided within identical CPTs, this data won’t likely proved statistically significant to CMS even if they are able to collect and data mine it. I am sure there is lots of data that would be nice to have for some data miner at CMS someday. Now that we are all quite far into this thing, there are certain things that would be painful to undo, however there is still an opportunity to take a step back and reexamine why we are doing this in the first place. In many cases, CMS is still running the submitted data through a system designed to pay or deny claims before it reaches their data store. This means a lot of edits and a lot of reasons why an encounter might reject. To their credit, CMS has turned a lot of edits off, but when the starting point was a full claims environment, there is still a long way to go. If CMS were to reexamine the edits involved in the EDPS process, they would find it is in not only the plan’s best interest to turn off many edits, but their own as well. If an edit doesn’t fit the following criteria, it should be turned off. Can the member be identified? Doing a good job so far on this one. Can the provider be identified? After a positive NPI match, there should not be rejections for mismatched addresses, zip codes, names, etc. If it is a valid NPI and CMS still has rejections then the table CMS is using for this process MUST be shared with the plans so they can do look-ups prior to submission. Plans can’t be expected to guess this information. There are a lot of kinds of provider errors out there that need to be relaxed. Is it a valid 837 v5010? If the standard is not followed and the required fields according to the TR3 are not present, all bets are off. However, this may mean that certain fields should be able to be defaulted in the same way that Ambulance mileage / pick up and drop off defaults have been allowed. There are lots of segments and elements to the TR3 that are Situational unless your trading partner requires them. Most of these are just not required to realign the model. Finally ask the following: Does a rejection indicate doubt the encounter happened, or that CMS doesn’t normally pay it? If an encounter / line doesn’t have a valid DOS, CPT, Unit where required, Modifier where needed, diagnosis code(s) then it may be unclear what happened and when. Barring that, the decision whether to accept the encounter data should be to accept. Whether CMS normally pays without that data in a FFS environment is irrelevant. What do you think? I’ll monitor the comments to hear your thoughts. Whether it is the various industry calls, conferences or even CMS’s own meetings, the question about what to do with paper claims keeps coming up. This is a short look at the issue including background, unknowns and an attempt to surmise what is most likely to happen. CMS has decided to replace the current method of reporting risk adjustment information called RAPS with a new process called the Encounter Data Processing System (EDPS). This process requires plans to submit EDI transactions that contain much more information about members, providers, dates of service, diagnosis, treatments and amounts. The EDPS mandate also requires every encounter to be submitted, even if denied. When compared to the 7 or so fields required under RAPS, EDPS means that plans have to submit somewhere around 500 times as much data as they did before. Many MAOs are frustrated with various areas of the effort from slipping deadlines to changing requirements, but this article will focus on unique problems associated with paper claims. Perhaps this is the most important thing to remember when trying to figure out any problem relating to the paper claims issue. The data that CMS has asked for is not simply a forwarded copy of whatever the provider submitted to the MAO. Instead, CMS is asking for not only the “claim” data, but also the results of the claim through the adjudication process. One simple way to look at the EDPS requirements is as a combination of the originally submitted claim combined with the explanation of benefits / payments. CMS wants to see what lines were accepted, for how much, as well as what lines were denied. Even in a best case, the claim – paper or electronic – only tells half the story. Paper Claims are entered directly into the system. 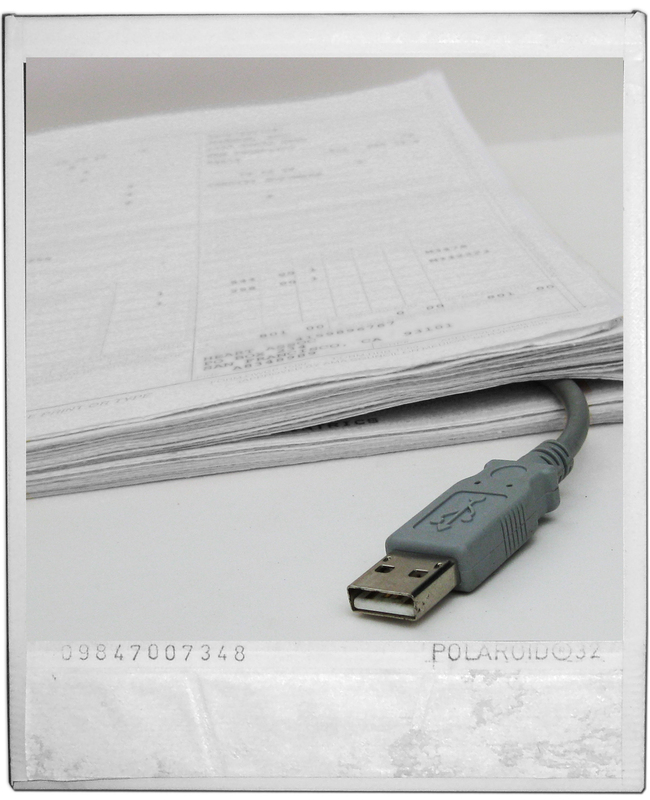 Paper claims are scanned, OCRed and typically converted to EDI. Find out if any information is present on the paper claim, but not entered into the system for any reason. After looking at these three areas, we can see what situations a valid 5010 which will comply with the CMS requirements can NOT be created from a claim that originally came in on paper. For area one, it usually turns out that the paper claim has the ability to contain all the information needed. Most of the cases where there are deltas reflect the fact that the paper claims can make a valid but DATA POOR transaction when submitted. 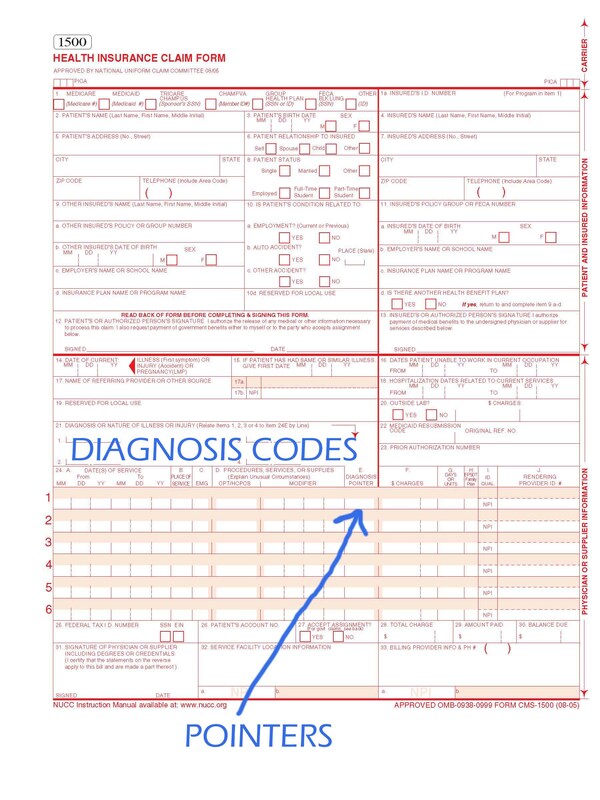 For example, there are only 4 spaces available for diagnosis codes. This is an example of a limitation of the paper form when conducting business with a MAO plan, but certainly there is no requirement that there has to be MORE than 4 codes when submitting 5010. While all the data needed by CMS is not available on the form to make a valid transaction, most of that can be added such as the submitter and receiver information. One good example of data that really doesn’t have a place on a professional claim is a Coordination of Benefits (COB) claim. As it turns out, areas 2 and 3 are where the real problems come up. To make a valid submission, plans need to submit NPI numbers for billing and rendering providers. If p roviders are not accustomed to providing things like NPI over the years, they may not give it to the plan. In this case, the data CAN be put on the form, but the MAO has never complained about it not being there and so it is skipped. In very much the same way, even when data is put on the form, it might not be entered. On the UB-04, there is actually a place to note an ambulance pick up and drop off location for institutional claims. This field is rarely if ever filled out on an ambulance claim, but even if it were, there may be no place to put that data in the claim system. If the plan doesn’t require it of the ambulance company to get payment and the data is not tracked, it simply won’t be keyed in. Enforcement of missing data on a paper claim is much tougher than with electronic claims. With an EDI claim, rules can be put in to reject the claim at the EDI gateway. Paper claims are already in the door and rejecting it for something like a missing NPI is most likely more work than simply looking it up. NPI can many times be populated with internal provider tables already integrated into the claims process. If claims tables still don’t have the data, integrating an NPI look up from the NPPES database would certainly help. Most of the required data for EDPS would be required by the claim system to begin with – paper or EDI. For example, EDPS requires treatment codes where RAPS did not. This has no impact though since every claim system on the planet requires treatment codes anyway at this point. The areas that are required under EDPS that are often not available on the paper claim (for any of the three reasons listed) happen to be areas that are not required or provided in the EDI file. This means that the problems from paper claims may not be unique to paper claims. Instead they are issues with the EDPS requirements as a whole. Could CMS Offer Eased Requirements for Paper Claims if They Wanted To? If these two issues were ever worked out though, the resulting requirements should be a very reasonable bar to hit. Paper claims contain all the fields to report risk, show utilization and price the claims – the stated goals of collecting encounter data in the first place. If paper claim data requirements are ever defined by CMS, treating them as defacto standards for other data types would likely yield a comprehensive, reasonable set of requirements for EDPS as a whole instead of the reach that many requirements are. In almost every case, claims that were submitted on paper to the MAO can be turned into a valid, submittable EDPS transaction for CMS. At worst, these transactions may be “data poor” due to less ability to submit diagnosis codes, however that would be true of both RAPS and EDPS. The claims that are truly unsubmittable to CMS due to a missing data element such as COB data or Ambulance Pick Up address are very likely also problems for the native EDI claims as well. Perhaps instead of trying to work out every possible scenario where a paper claim would present a problem, plans should push back at CMS on the requirements that don’t directly relate to the purpose of EDPS.